PortaOne sales and engineering team has completed 3 days of intensive meetings with multiple current and potential clients from around the world: US, Latin America, and Europe. 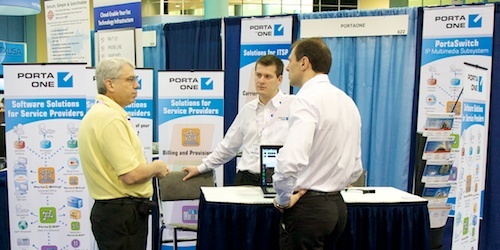 PortaOne will next be showcasing its PortaSwitch technology for carriers and services providers at International Communication Week (ITW2011) in Washington, DC on 23 - 25 May 2011. Please visit our booth 566 in Hall C at the Marriott Wardman Park Hotel.